Looking for those individuals interested in becoming a Window Cleaning and Exterior Maintenance Technician with High Access Experience! We seek to hire candidates experienced in high rise equipment including bosuns chair. 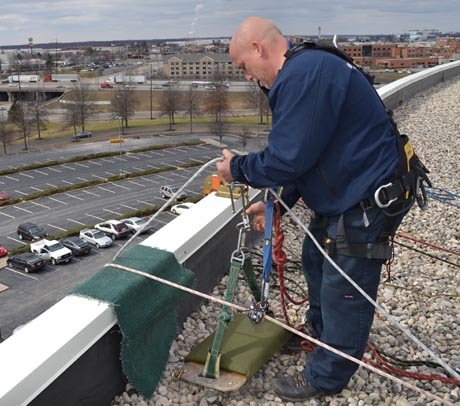 Duties include various types of window cleaning (Standard Clean, Restoration Clean, Construction Clean and Glass Scratch Removal) and exterior building maintenance such as remedial caulking and pressure washing. Work is Monday through Friday 6:45 AM-3:30PM, some nights, weekend and out-of-town work with notice and availability of technician. Pay includes shift and out-of-town differential and attendance bonus. If you have these skills, are committed, and dependable we would like to talk to you.